Dr. Worob volunteers his time and expertise! It is very important to every member of the 12 Oaks Dental team to be a part of our community and to give back whenever possible. We want to always “Empower others to live healthier lifestyle”, weather they are patients in our office or not. 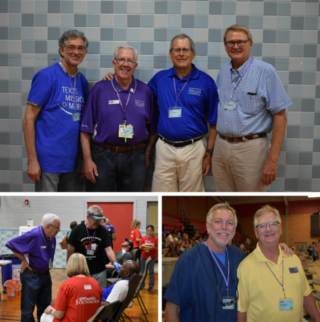 Last weekend Dr.Worob volunteered his time and expertise at Texas Mission of Mercy, hosted by TDA Smiles Foundation and St. David Foundation. The event provided free dental services to people in need. 632 patients, 3,186 procedures, $566,090 worth of charitable care. Wow! That’s a lot of lives that were changed! This was the first Mission of Mercy held in Austin proper. We are so proud to have been a part of an effort to help our fellow Austinites get healthy!